During an interview this week with Fox television talk show host Bill O’Reilly, Republican presidential candidate Ben Carson outlined that he doesn’t subscribe to young Earth beliefs as it is possible that the planet is billions of years old. O’Reilly, a Roman Catholic, then clarified further to ask if Carson believes that the creation account in Genesis is literal. 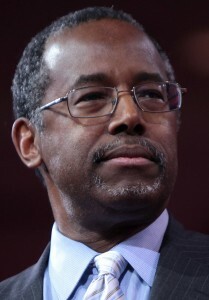 Carson, a Seventh Day Adventist, said that there is “no basis” for others to claim that he is a young earth proponent. He said that because God is God, it is possible that the Earth is billions of years old. Carson was likewise asked about his beliefs surrounding evolution in an article featured in this month’s Time Magazine, stating that he doesn’t believe in secular evolution in the sense that it suggests that there is no God, but is a proponent of theistic evolution.